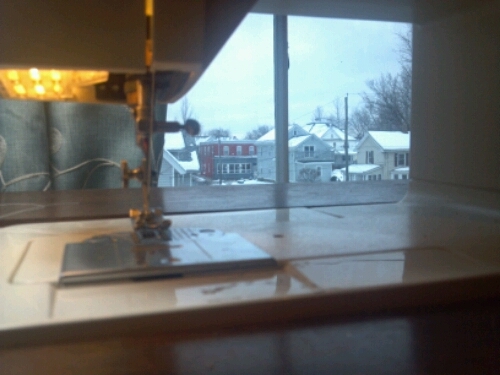 The view from my sewing room window was grey and gloomy today. Perfect for entering the contemplative season of Advent. 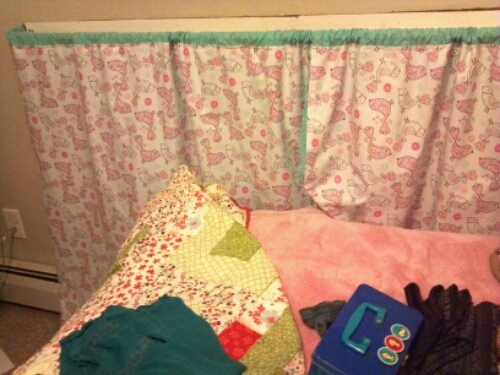 I spent a couple of hours making curtains for Lima Bean’s room. 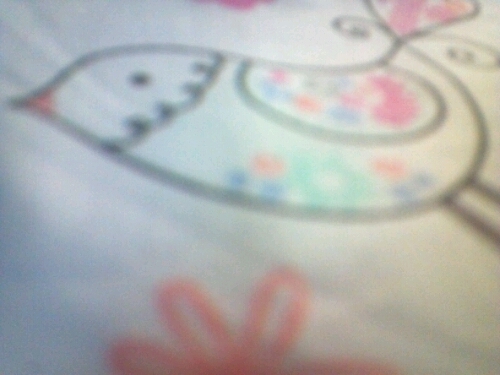 Birds for Lima Bean and whimsical forest animals for Lady Bug. This bird is blurry - the way I feel today. 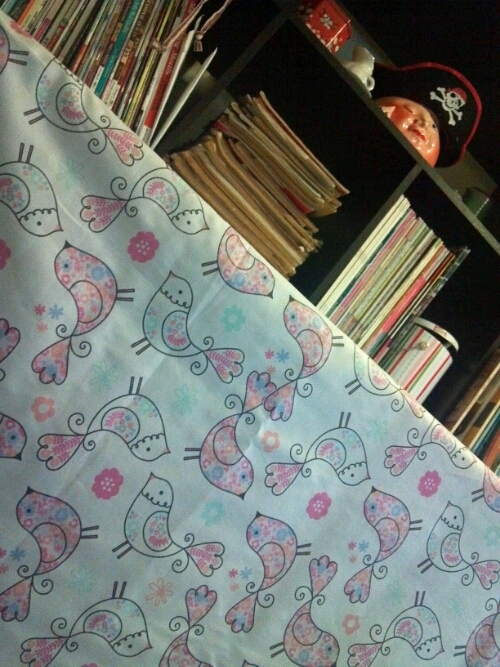 It is the first sewing I’ve done in the new room. I am pleased to report the light is good, the room is cozy, and even the Blushing Winkie approves. 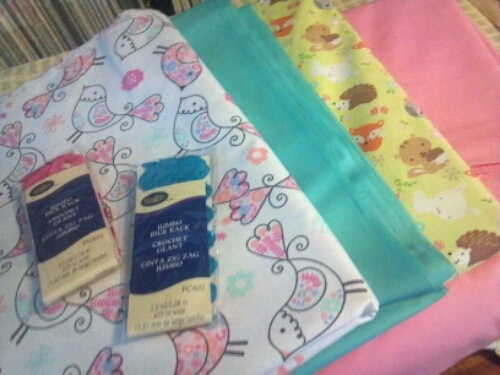 Tomorrow, I’ll work on the Advent calendar and Lady Bug’s curtains. 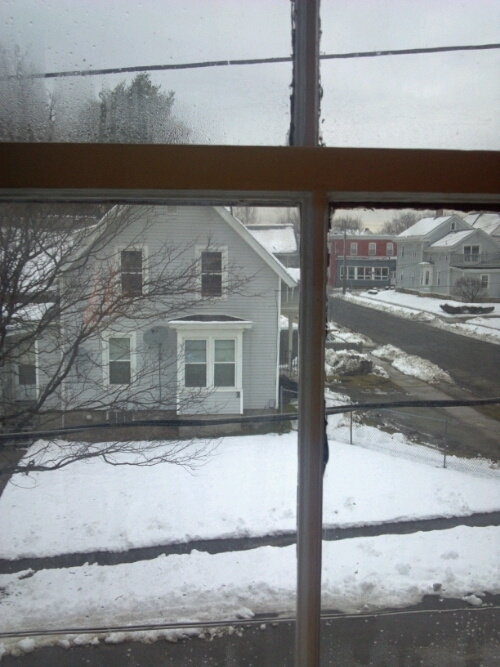 I will do my best to, as a friend said this morning, embrace the season, dark and cold as it is. Breathing in the darkness, waiting for the light. What a lovely, thoughtful post. As it’s warm where I live, the idea of such cold, dark days seems very strange. Gorgeously homey however.